For the past couple of years, the worlds of Dungeons & Dragons and Magic: The Gathering have been getting closer and closer. Here and there, D&D has crept into the cards of Magic, while the worlds of the card game have slowly wormed their way into Dungeons & Dragons rulesets. But now they’re closer than ever, thanks to a new rulebook. Wizards of the Coast announced this week that the upcoming Magic expansion Guilds of Ravnica will be joined by a new sourcebook for Dungeons & Dragons called Guildmasters’ Guide to Ravnica. Inspired by the lore of Ravnica from Magic (the setting has appeared in multiple past expansions to Magic before its return later this year), the Guildmasters’ Guide will contain all the rules and inspiration Dungeon Masters would need to run a D&D campaign in the Eastern European-inspired techno-magical metropolis of Ravnica, as well as details on the rival guilds that vie for control of the vast city. This isn’t the first time D&D and Magic have come together like this recently—rules for D&D players to adventure in the Planes of Innistrad and Zendikar have appeared in the past. But it’s the first time a crossover book of this scope will be released for Dungeons & Dragons, especially as an accompaniment to the upcoming Ravnica-themed Magic expansion. Could it mean there will be more Magic/D&D mashups like this in the future? We’ll have to wait and see. 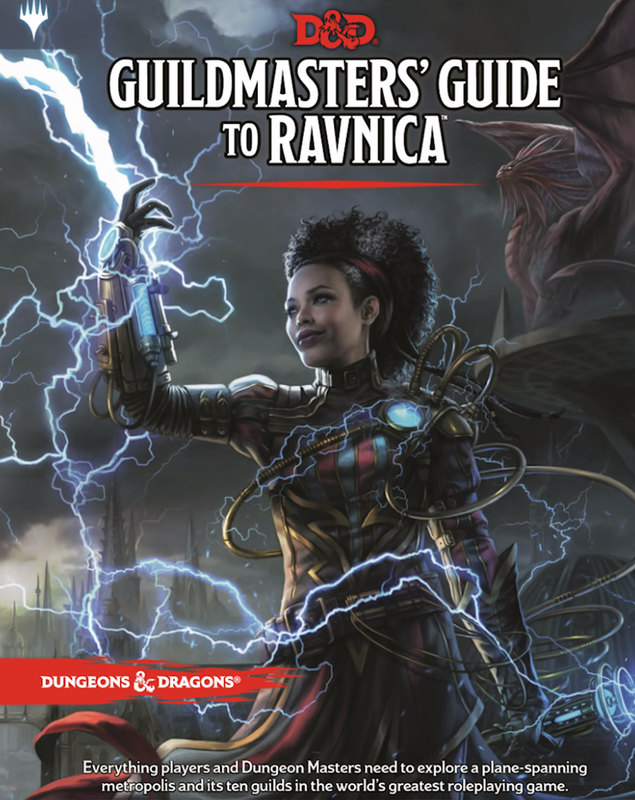 Guildmasters’ Guide to Ravnica is set to release on 20 November, after the Guilds of Ravnica expansion for Magic launches 5 October.